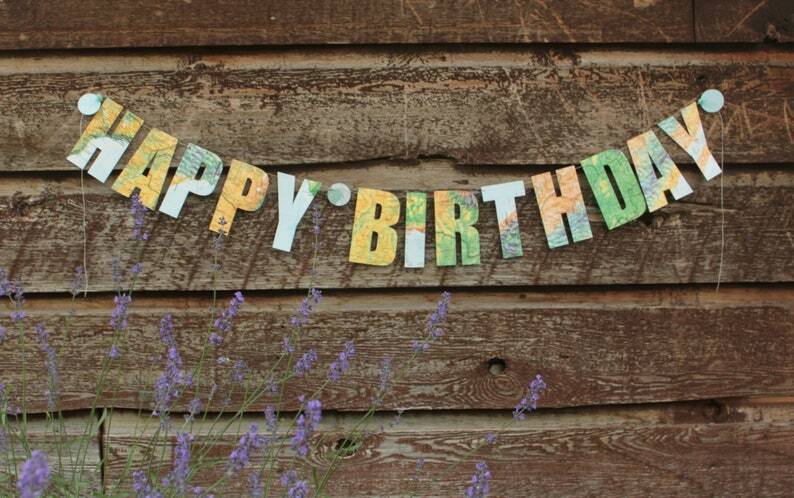 Happy Birthday banner made from the pages of a recycled world atlas. 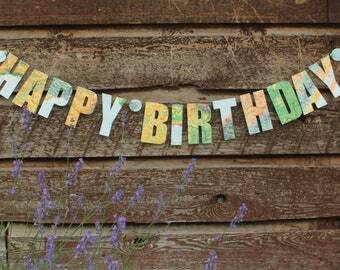 This banner is a fun, eco friendly way to say Happy Birthday! US customers please note: orders usually take a minimum of 10 business days to arrive. 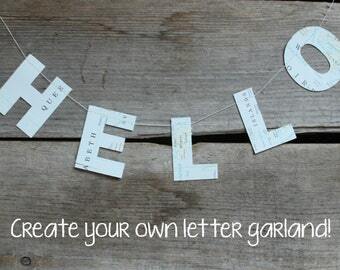 Want a fun, earth friendly way to say Happy Birthday? 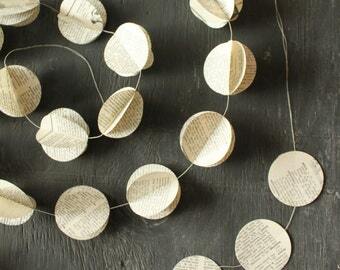 All of our garlands are made from recycled books, atlases and papers. 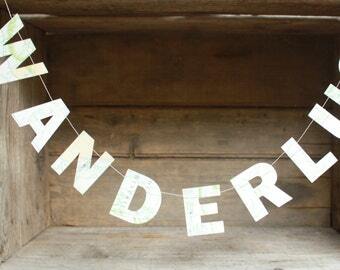 This birthday banner measures 3 feet from H to Y and the letters are each 4 inches tall. 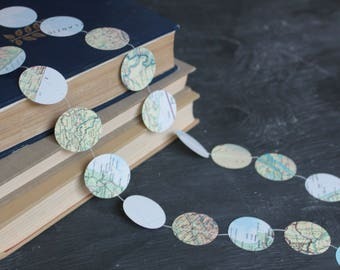 The letters have been cut from the pages of an old world atlas and have lots of different colours. 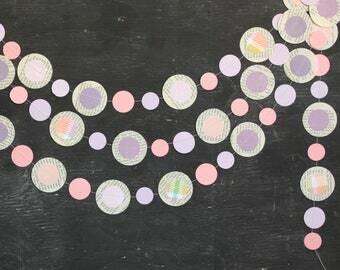 - garlands can tangle easily so please unwrap carefully! Excellent customer service! Would order from again. This is such a beautiful item. 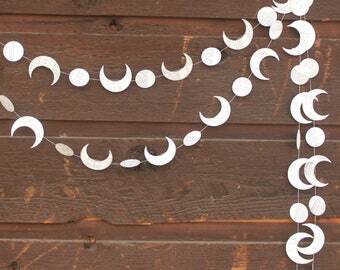 Delicate and eye catching. Super fast shipping and great product, looks exactly like the pictures! Sarah made exactly what I had envisioned, thank you! The colours matched the balloons perfectly.